I've been meaning to post these for a while now, but never seem to get around to it. I want to thank Carebear over at (formerly) Two Under Two. Whew! for the super follower award. Also, thank you to Ali, at The Blessed Country Mom for the Attitude of Gratitude Award. 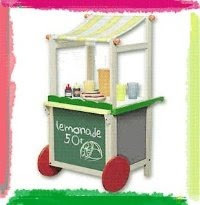 Follow the links to check out their awesome blogs! Thank you, ladies. I love your blogs! I'm sorry it took me so long to post a thank you. 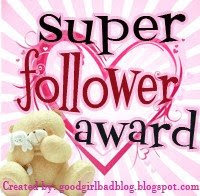 I would like to pass on the super follower award to several ladies, who always support me. I know a few of you have already received the award from Carebear, but I feel the need to give it to you again! 3. Brooke at Dinkypops No More! I love your blogs, ladies! I'm so sorry if I missed anyone! It's late, and I'm sleep deprived! Thanks for the award! I have to get a post going to say thanks since I have received a few lately and haven't had time to poist about them!! Aww thank you for the award! You are so sweet! Aww, thanks Stef! That made my day! Love ya! Thank you for the nice award! Just like Kam, I need to get a post going with a few that I've collected over the past few weeks to formerly say "thanks" as well. Thank you SO much! I'll try to post as soon as I can!